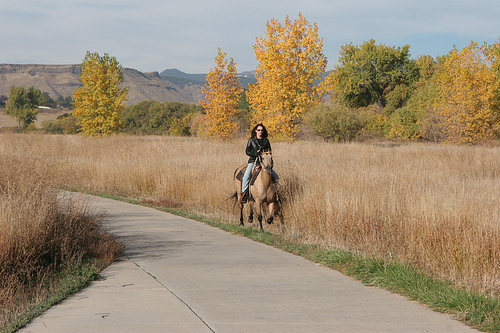 Arvada's trails consist of a network of Regional and Local trails in both paved and soft surfaces, and are suitable for non-motorized recreational enjoyment as well as commuting. Primary Trails in the City of Arvada generally follow creek or canal corridors and span longer distances. Many Primary Trails are also Regional in nature, linking to other cities and counties outside Arvada's boundaries. Some popular trails are the Ralston Creek Trail, Van Bibber Trail, and Little Dry Creek Trail. Arvada is also home to many additional neighborhood trails that are shorter in length.